Naming your homestead can be a pretty big decision and much consideration is needed for the perfect name. For some (oh, let’s say us) a homestead may not have a name. I know, don’t be to shocked! 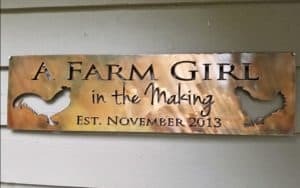 Our homestead is simply known as A Farm Girl In The Making, and though it may not actually be a proper name, it’s who we are. The story of how A Farm Girl In The Making came to be is a good one, but what’s more important is what the name represents. It’s the typical story, one that many individuals seem to have. It’s the dilemma that occurs when the homesteading journey begins, and it happens to every new homesteader. 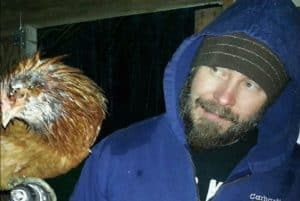 You’ll come to find that many of your friends and family do not find raising chickens and maintaining a small garden interesting, and Lord forbid if I share news of it on a daily basis. Let’s be honest, many people only want to see photos of your chickens and tomatoes every 6 months or so, anything more than that promotes a glazed look to appear on their face and you’ve lost them. Maybe for good! Why non-chicken keepers can’t find the joy of chicken leaving footprints in the snow to be interesting is beyond me. They must not remember how many times I’ve seen photos of their dog or cat sitting on the same couch, in the same pose throughout the year. This was the very reason which led me to create a Facebook page, praying that I would find my tribe. The people who thought and dreamed the same dream as I did. Little did I know then where this journey would take me, and to this day I’m surprised as where it has gone. A Farm Girl In The Making. That’s me. Well, it’s actually us, Justin and I, but mainly me. For years prior to homesteading I knew I was meant to be a farm girl. Though I had no previous experience, I knew that’s what God intended for me. With my lack of experience it was going to be an ‘in the making’ type of journey, and one that we were ready to take. Easily and organically I became A Farm Girl In The Making. This name has held through many homesteading successes, but most importantly through the experience of trial and error, along with some devastating sadness. As the brand grew (in 3 short years we became a brand – FB, Instagram, Pinterest, the website, small business and now YouTube) it became apparent that this title really wasn’t just about me (us). 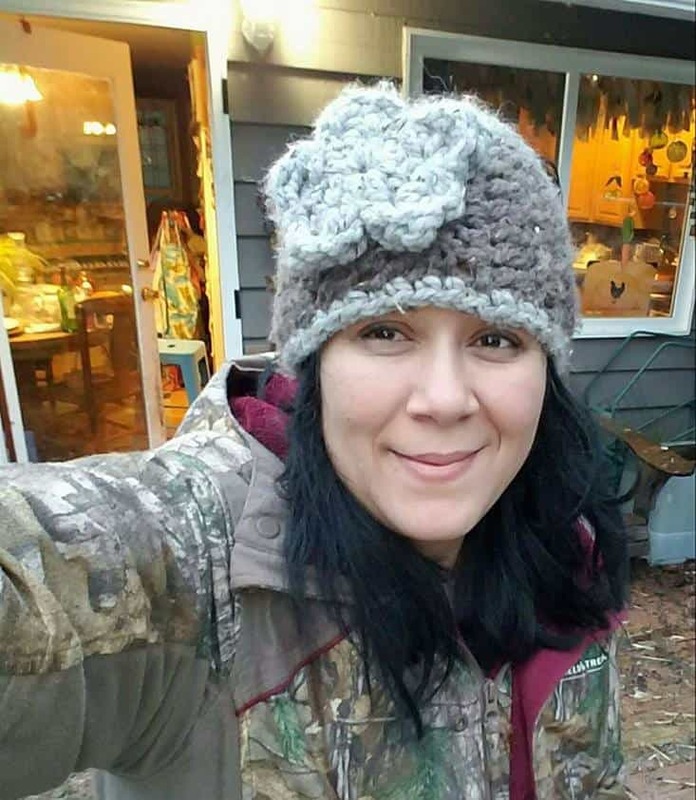 We began to connect with individuals who were at different stages in their homesteading life and it became obvious the name and title I had given myself was also a title in which others wore. A Farm Girl In The Making became about individuals who were in the dreaming-planning stage of being a homesteader, some had started their journey, while others had been living it for years. But nothing touches our hearts more than the individuals who are no longer living this lifestyle. For whatever reason, they are no longer homesteading or farming yet they follow us, thanking us for pulling forward a memory of their past life. These individuals enjoy our photos, the stories and blogs we share because at one point this life was once their life. The one thing I’ve learned on this journey is never sell yourself short. Things will get build, and more than likely they will have to be rebuilt. The livestock will become ill, and some will pass. The goats will escape their pens and destroy your garden, sometimes twice in one growing season. The miracle of life will be occur, and you will love it and care for it. Food will be placed onto the table which was raised and butchered by your own hands. All things that happen, happen for a reason. These are the things that make us who we are, regardless of what phase in the homesteading life you live. This makes not only me, but each and every one of you A Farm Girl In The Making. 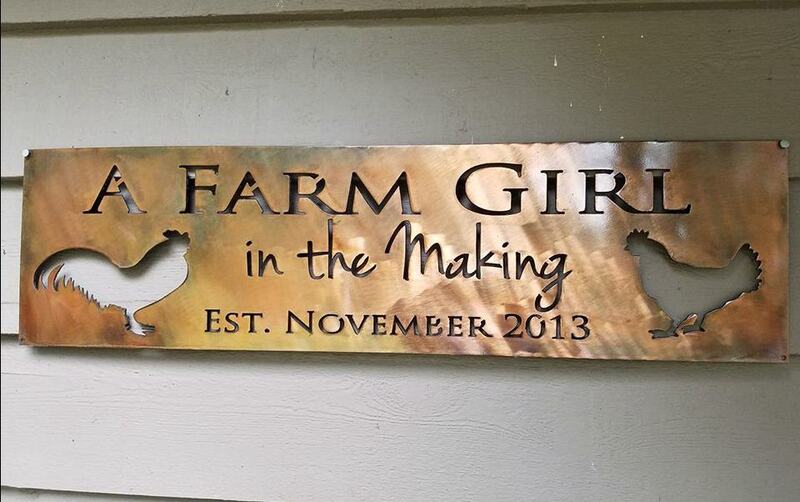 Every homestead should be blessed with a sign, and ours is no different! This amazing brushed copper sign was gifted to us by another homestead and it will be passed down to our children as a keepsake of who we are. This brand of ours may not last forever, but the memory of it will be kept alive through our children and where they chose to hang this sign. Like you we began homesteading before homesteading was the cool thing to do. We began around 24 years ago. Started small with a garden and chickens. Then we grew bigger with cows, chickens, goats and pigs. As we get a bit older we’ve downsized a bit with only a garden and chickens again. I miss my goats but sometimes you have to just accept that you can’t do everything. My husband and I, like most homesteaders, work outside the home full time. Then to come to another full time job after a full day’s work can become no longer fun and healthy for you. So that’s why we decided to downsize. Doing it all ourselves was no longer an option. Especially with a husband that his physical health was deteriorating. Maybe some day I’ll get goats again, but for now I’ll enjoy my down time. Well it’s kinda down time. I’m now enrolled into online university. Lol! Have to keep busy. I still have my Facebook page and blog to keep busy and now I have the time to update often. Ha ha. I just found your website, and I absolutely love it! So much of what you say reminds me of my husband and myself. We are working our way from an urban homestead to hopefully in a few years moving over to Eastern Washington to make a full-size one. We are so ready to grow our brand and get back to a simpler, slower way of life. Keep up the good work, you’re an inspiration to those of us at the beginning of the journey!